wide selection of popular makes and models. Blank. 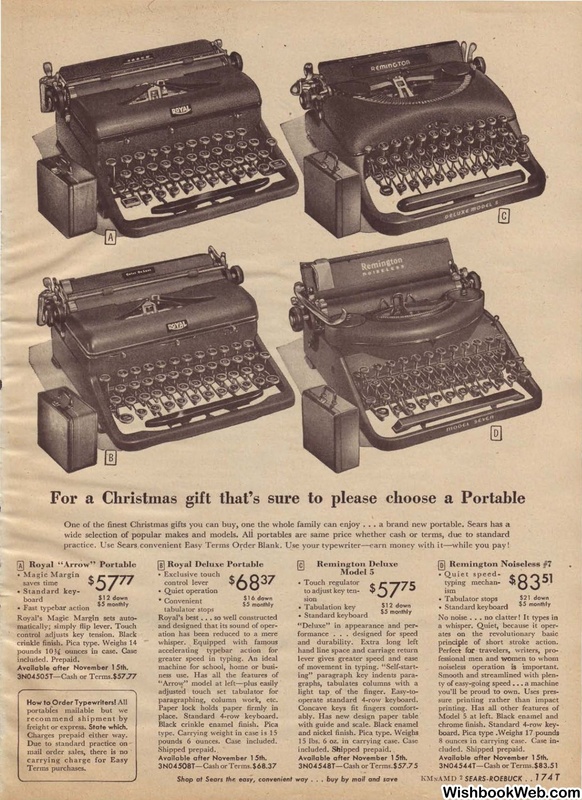 Use your typewriter--carn money with it-while you pay! freight or express. State which. No noise ... no clatter! principle of short stroke action. pounds 6 ounces. Case included.